Here's an action shot of me playing in the orchestra! From the Monroe Symphony’s Facebook page. 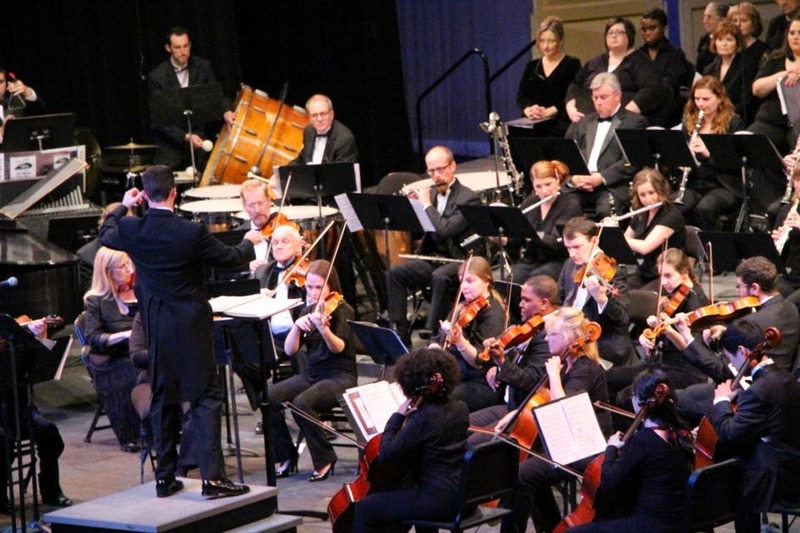 We had such a great and enthusiastic audience last night at the Monroe Symphony concert. Darth Vader was even kind enough to make a guest appearance! I thankfully made it home before the insane thunderstorm/hailstorm hit last night and now have a glorious day off to get caught up on everything. Which is good, because I have a concert with the Abilene Philharmonic and an audition to get ready for in the next few weeks. Tomorrow, H. Karlsson Woodwinds is throwing a clarinet party with Lee Livengood on hand to talk about mouthpieces so I’ll definitely be dropping by for a little while to try out some mouthpieces. The Facebook invitation is on her page so feel free to RSVP and drop by as well if you’re in the area.